← Picking a Freelancer: What am I Paying For? Washington D.C. … the beloved Nation’s Capitol is home to countless museums, sports teams, universities, and of course a thriving population of creative folks who want to live and work in the hustle and bustle of a busy metropolis. From the uneven brick sidewalks of Georgetown to the breathtaking modernity of City Place, D.C. has every type of space, all sorts of companies, and for the avid writer, some of the best places in the country to gain a bit of perspective all while crafting brilliant works of art. Washington D.C. writers have countless opportunities to work on both a freelance and salaried basis. According to Glassdoor, as a content writer you can expect to earn approximately $60,000. If you want to branch out into a role as a content marketing manager, then you can anticipate earning approximately $79,000, while copywriters can earn between $53,00 and $83,000. From working for government contractors as a proposal writer, to writing content for small sized businesses or large corporations, to working as a journalist, Washington D.C. has a wide array of writing opportunities for the savvy and persistent professional. Educational Opportunities for Writers to Advance in Washington D.C.
Washington D.C. might be home to more Smithsonian museums then you can see in a day, but it is also boasts an impressive 20 colleges and universities throughout its historic streets. The local universities offer a wealth of knowledge and opportunities for anyone interested in auditing a class, signing-up for a writing or editing course, or learning how to make a business plan that will help you achieve success as a freelance writer, editor, or content marketer. The top five local universities include, Georgetown University, University of Maryland – College Park, George Washington University, American, and Howard University. Be sure to check out the university forums to find writer workshops, seminars, and genre-specific writer groups. Writing Meet Up Groups in Washington D.C. The Writer’s Center — This robust literary group features more than 50 events per year, has a large book gallery, offers local fellowships, and even has workspaces that can be rented. Split This Rock — This unique writers group focuses on poetry that will have a positive impact and promote social change. The group puts on several readings, workshops, an annual festival, and community collaboration events throughout the year. Capitol Hill Writers Group — The Capitol Hill Writers Group works to connect writers with fellow industry experts, while simultaneously giving writers the support that they need to succeed in their freelance careers. Meetup Writing Groups — The ever-popular Meetup.com features numerous writing groups of all sizes. The groups range in topics from creative writing, to poetry, to developing freelance skills. 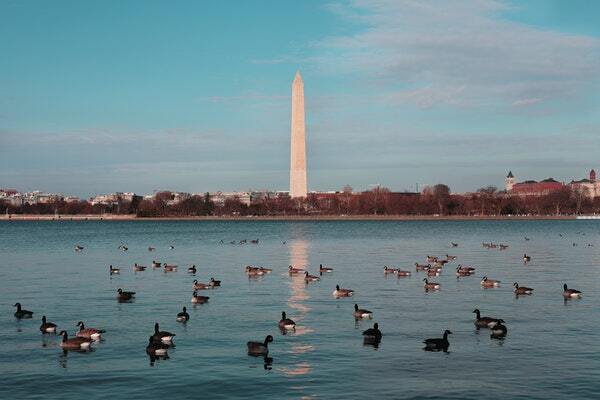 Washington D.C. is a fantastic place to live, learn, connect, and enjoy life as a writer, editor, or content strategist. For anyone who is interested in enjoying the perks of an educational boost, the following two Washington D.C. conferences are sure to be both entertaining and informative. Washington Writers Conference — Held May 10th – 11th, this writer-focused conference is all about getting your pitches in front of literary agents from D.C., NYC, and Boston. Workshops, Classes, and More for Writers in Washington D.C. Whether you have been living in Washington D.C. for years, or are new to its bustling streets, there are several upcoming events that offer the continuing education courses that you need to sharpen your pen, fine tune your editing skills, and learn new literary skills. The Writer’s Center — Be sure to visit their website for a list of upcoming events, author meet-and-greet sessions, and individual workshops that will help you on your journey to becoming a highly sought-after freelancer. Storytelling: A Workshop Series in Creative Nonfiction — This multi-part series is the ideal choice for anyone interested in learning more about crafting personal essays, long form travel pieces, professional profiles, and more. DC Writes! A Petworth Writers Workshop — Located at the Petworth Library, this workshop is for any type of writer. Young or old, new to the game or seasoned veteran, no matter how you describe your literary prowess, you can benefit from what is sure to be an informative event. Be sure to bring your business cards so that you can connect with your fellow industry professionals. The Best Places for Writers to Write in Washington D.C.
It’s no secret that Washington D.C. is filled with a vibrant history. However, while far too many people think that writing should only occur at the most talked about coffee shops or from the stacks of the local library, there are in fact a few hidden gems that invite creative literary inspiration. If you don’t have a set budget in mind, then be sure to head to Boulangerie Christophe (a French bakery in Georgetown that happens to have free WiFi and a very understanding staff who don’t mind if you spend four hours at a table and only order a salad). Speaking of Georgetown, the banks of the Potomac or the Georgetown campus make for great writing spots. If you do prefer the smells of freshly brewed coffee, then be sure to visit any of the Compass Coffee locations, Peregrine Espresso on 14th, or Busboys and Poets for your local fare meets coffee meets fantastic cocktail spot. Community Groups for Writers in Washington D.C.
Washington D.C. might be known for its political scene, but it is also a great creative hub. In fact, Washington D.C. has several community groups that offer classes, events, workshops, and numerous opportunities for writers of all levels to come together and hone their beloved craft. Editorial Freelancers Association — While this is technically an online group, it does offer a great platform to connect with local Washington D.C. (and D.C. metro) writers, editors, agents, and companies that are currently hiring in their creative departments. Association of Writers & Writing Programs — The AWP has several workshops and events throughout the year in Washington D.C. (and the country as a whole). Be on the lookout for their annual conference. The Inner Loop — This formal writing group is actually a literary reading series that offers various networking opportunities for writers of all ages, styles, and levels. It gives writers a chance to read their works out loud, receive feedback, and embrace the creative journey of coming together with other industry professionals. As large corporations, like Amazon, continue to flock to Washington D.C. content writers, editors, marketing professionals, and copywriters should be on the lookout for new and exciting opportunities. A quick look on LinkedIn, or conducting a Google search, will help you to discover the latest writing jobs. In this vein, a few of the companies that are currently hiring include Sidwell Friends School, Jubilee Housing, Clutch, and the US News & World Report. WriterAccess — This Boston-based, award-winning content platform is home to more than 15,000 freelance writers, editors, content strategists, and translators. It also boasts a client list that features more than 25,000 entrepreneurs and businesses. Apply now to begin or enhance your freelance writing career. Skyword — This content marketing platform gives freelance writers a chance to work with top brands throughout the United States. Scripted — This digital content platform offers freelance writers a chance to connect with businesses and agencies throughout the globe. Join the Ranks of the Best Freelance Writers in the World! Washington D.C. might be the Nation’s Capitol, but it is also home to an amazing array of creative talents. There is no time like the present to join the ranks of your fellow industry professionals. Whether you want to find a salaried position, or prefer the flexibility of being a freelancer, Washington D.C. offers countless opportunities for you to begin and enhance your career as a writer, editor, content strategist, or translator. Discover your new freelance writing home in Washington D.C. today!